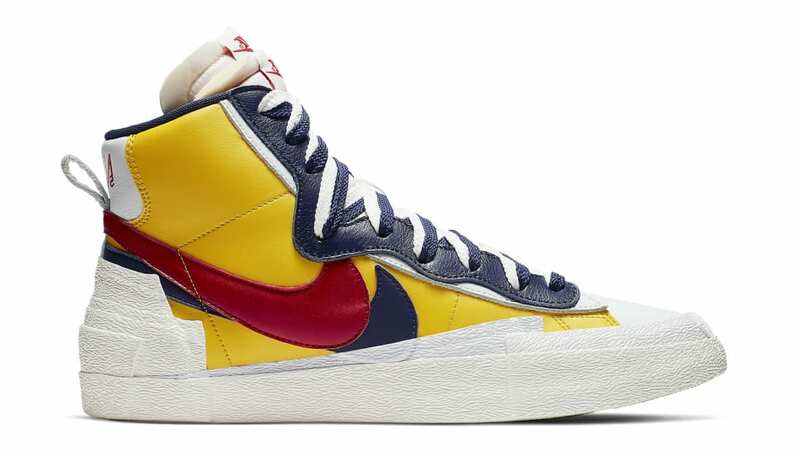 As part of fashion label Sacai's Spring '19 collection, the Nike Blazer Mid will feature elements from both the Blazer and Dunk models with a yellow leather upper with a red and blue duo Swoosh, double tongues, a white midsole to cap off the look. Release date is Apr. 19, 2019 at a retail price of $140.